I fell in love with this jacket the moment I saw it. 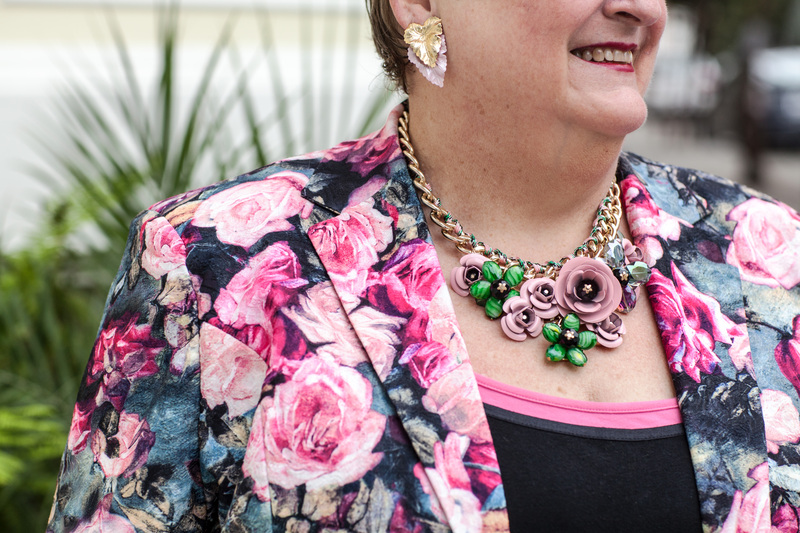 A fall jacket with a black and green background, and lots of pink flowers, kind of a spring jacket in winter colors. As you probably know ASOS Curve runs fairly so I am able to wear a US 24, even though I am a US size 26/28. And I already had a necklace to wear with it (below) so what more could I ask for. 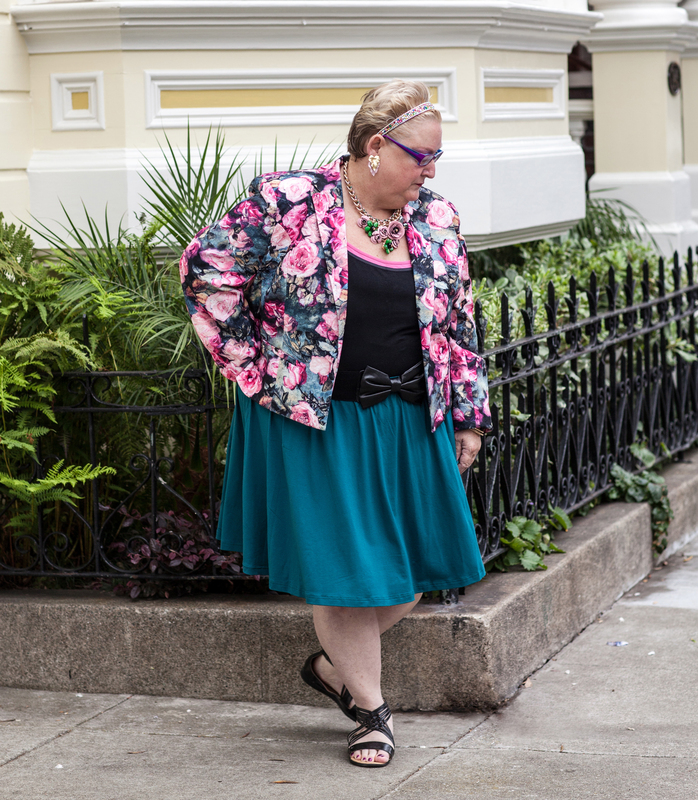 But I struggled with jeans, or a mini skirt, or pencil skirt and I really wanted something that was not black, and I settled on the teal. I loved doing a little street shoot in San Francisco. I think the necklace is really fun. I thought about making one, as I do sometimes, but sometimes it ends up more expensive than buying a costume statement necklace, so I just found something to match the colors that was not too expensive. One of the things I love about Amazon is that it gives you similar necklaces in the same size and price range at the bottom of the page.